What a great day! Pig Farmer from Heroes of the Farm, Tim McCormick from Cultured Biologix and Rob Christiansen from Fullonwere here for Green Room Live, and a whole lot of the NectaFam, as well as Scott Ostrander, founder of Nectar for the Gods and Pat Pooler, founder of Heroes of the Farm, spoke from the audience. 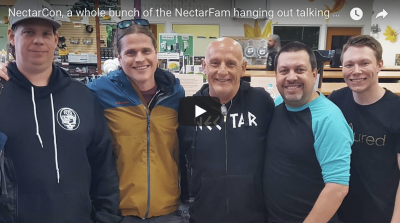 This was a great time and a bunch of knowledge about growing with Nectar whether your growing six plants at a time or at scale.